^ Players – Top goals. FIFA.com. ^ Pot allocations for the Preliminary Draw. FIFA.com (Fédération Internationale de Football Association). 2011-07-27 [2011-07-27]. ^ 2014 FIFA World Cup to be held in South America. FIFA. 2003-03-07. ^ Rotation ends in 2018. FIFA. 2007-10-29. ^ Argentina, Brazil and Colombia want 2014 World Cup. People's Daily. 2003-01-19. 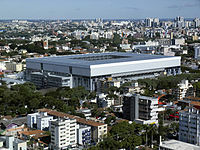 ^ Brazil set to host World Cup. BBC. 2003-03-18. ^ Colombia bids for 2014 World Cup. BBC. 2006-07-17. ^ Colombia join 2014 World Cup race. BBC. 2006-12-19. ^ Brazil to make 2014 World Cup bid. BBC. 2006-12-13. 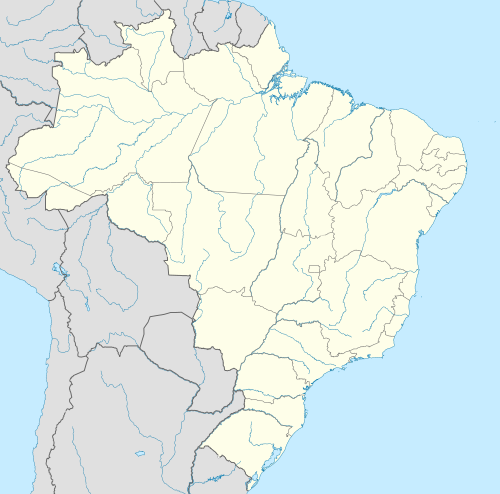 ^ Brazil confirms bid – Colombia withdraws. FIFA. 2007-04-13. ^ Brazil confirmed as 2014 hosts. FIFA. 2007-10-30 [2007-10-30]. （原始内容存档于2007年10月31日）. ^ Host Cities for Brazil 2014 to be announced in May. FIFA.com (Fédération Internationale de Football Association). 2009-03-12 [2009-06-06]. ^ Host cities in 1950 FIFA World Cup. Colunas.globoesporte.com. [2011-10-09]. ^ 2014 FIFA World Cup: Luck of the draw 'an essential component'. BBC Sport (British Broadcasting Corporation). 2013-12-02. ^ FIFA Fan Fest locations confirmed. FIFA.com. Fédération Internationale de Football Association. 2014-01-20. ^ Cadeiras sao retiradas do Maracanã para conclusao da primeira etapa das obras pra a Copa do Mundo – Chairs are removed from Maracanã concluding the upgrading first step. Noticias.r7.com. 1990-01-06 [2011-10-09]. （原始内容存档于2011-10-01）. ^ Brazil 2014. esportes.terra.com.br. 2011-05-30 [2011-06-07] （巴西葡萄牙语）. ^ 18.0 18.1 18.2 FIFA/Coca-Cola Rankings. FIFA.com. Fédération Internationale de Football Association. 2014-06-05 [2014-06-11]. ^ 1 day to go. FIFA.com. Fédération Internationale de Football Association. 2014-06-11. ^ Pot 1 seeds set for Brazil 2014 draws. FIFA.com (Fédération Internationale de Football Association). 2013-10-17 [2013-11-23]. ^ Draw procedures approved. FIFA.com (Fédération Internationale de Football Association). 2013-12-03 [2013-12-03]. ^ Final draw procedures (PDF). FIFA.com (Fédération Internationale de Football Association). 2013-12-03 [2013-12-03]. ^ Final Draw reveals intriguing groups. FIFA.com (Fédération Internationale de Football Association). 2013-12-06. ^ A team of stars for the draw. FIFA.com (Fédération Internationale de Football Association). 2013-12-05. ^ Draw procedures approved. FIFA. 2013-12-03 [2013-12-03]. ^ Final draw procedures (PDF). FIFA. 2013-12-03 [2013-12-03]. ^ Final Draw - Live commentary. FIFA.com. 2013-12-06 [2013-12-06]. ^ 28.0 28.1 28.2 28.3 28.4 Regulations – FIFA World Cup Brazil 2014 (PDF). FIFA.com. Fédération Internationale de Football Association.